I, Ted Merrill, am a retired software engineer living in Santa Cruz, California. My consulting business is emBuild Software Design. My expertise is in system software related to embedded systems: system design, operating systems, hardware drivers and development tools. In addition to my consulting business, I have held the titles of System Architect, Software Architect and Software Fellow in more than 25 years of experience in the embedded software field, working with tens of other engineers; and I have worked alone on major projects. I have gained a reputation for both high production quantity and quality (the former cannot be maintained for long without the latter). Details may be found here. I have been the author of a diverse selection of system software, including: a clone of the vxWorks operating system, a highly realtime software system coded in assembly language, an object-oriented graphics/windowing system, a mini-TCP stack, and many hardware drivers (including Unix/Linux) ... software control frameworks, high reliability flash-based databases... for embedded software targets including cat and mri scanners, scanning probe microscopes, wireless internet modems, home gateway boxes. I am the principal author of a free software development suite known as atool which has been used by hundreds of engineers since 1986.
http://embuild.org provides general commentary of interest to embedded software designers. http://embuildsw.org provides free software of interest to embedded software designers. In my non-work life, my wife and enjoy our hometown of Santa Cruz, California, and I am an avid hiker, backpacker, dancer and body-surfer. 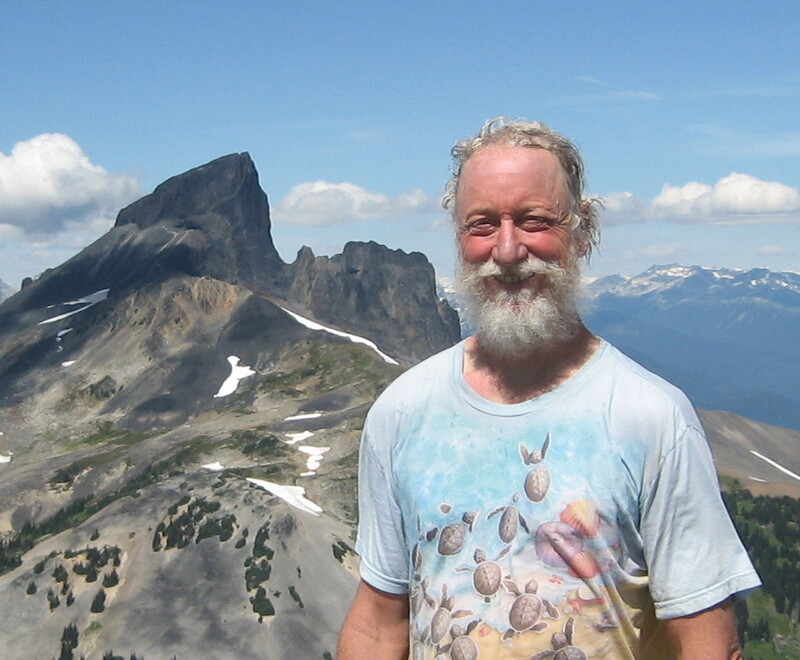 This picture was taken during a hike to the Black Tusk in British Columbia. I may be contacted by sending email (no spam please!) to software (atsign) embuildsw (dot) com . emBuild, emBuildSw and emBuild Software Design are trademarks of Ted Merrill for the field of software and software design.